Preheat oven to 160ᵒC conventional (140ᵒC fan forced). 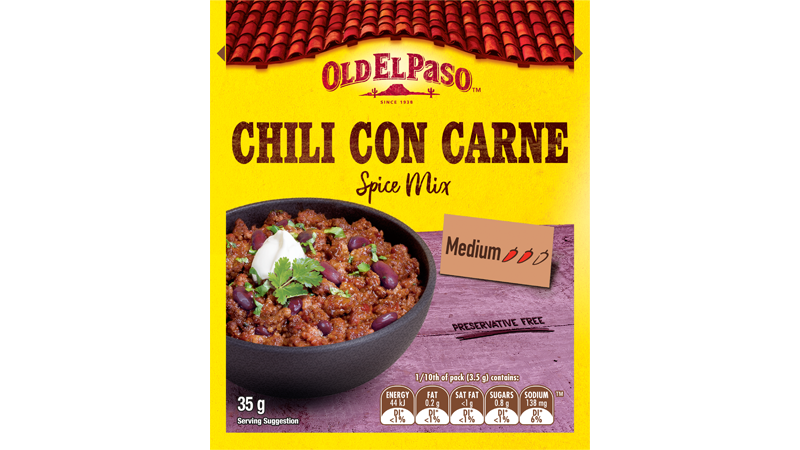 For the Slow Cooked Lamb: Rub the Chili Spice Mix over lamb shoulder and in between cut bones. Heat a little oil in a heavy based, oven proof dish with lid and brown lamb all over for 5 - 8 minutes. Add onion, garlic, oregano and bay leaf. Pour Enchilada Sauce and apple juice over lamb. Cover with tight fitting lid and bake in oven for 3 hours or until lamb is falling from the bone and tender. Remove lamb from dish, discard fat and bones, shred meat. Set aside while the sauce is prepared. Remove as much of the fat as possible from the sauce (this stage is easier if the lamb is cooked the day before as the fat separates and solidifies). Place the oven dish over a high heat on the stove and cook for 15 -20 minutes reducing the liquid to a sauce consistency. Heat a little oil in a medium frying pan, add mushrooms and cook over a medium high heat for 4 minutes or until golden. Stir mushrooms and shredded lamb into the sauce. Preheat oven to 180ᵒC conventional (160ᵒC fan forced). 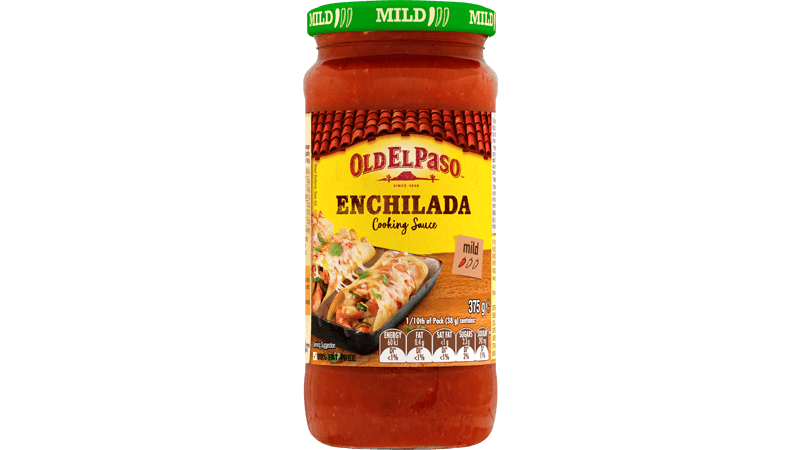 For warm and soft Enchilada Tortillas follow on pack heating instructions. Place approximately ½ a cup of lamb mixture into centre of each tortilla and fold over to create a tube. Place folded side up in baking dish. Repeat with remaining filling and tortillas. Press down tortillas to seal. Spread the crème fraiche over top of enchiladas. Bake for 15-20 minutes. For the Salsa Verde Topping: place all Salsa Verde ingredients in food processor and pulse until finely chopped and well combined. 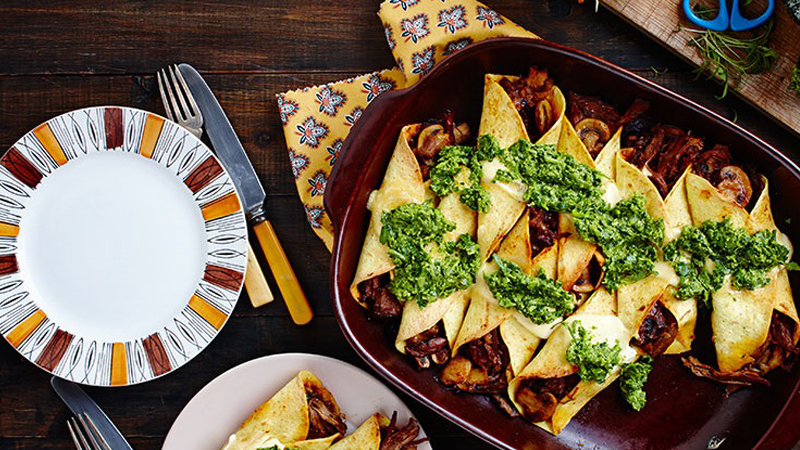 Top the hot Enchiladas with the Salsa Verde and serve to the table.